Aphids present one of the top 10 gardening problems. How do you get these little sap sucking monsters off of your plants and out of your garden? It can be a problem indoors and out. 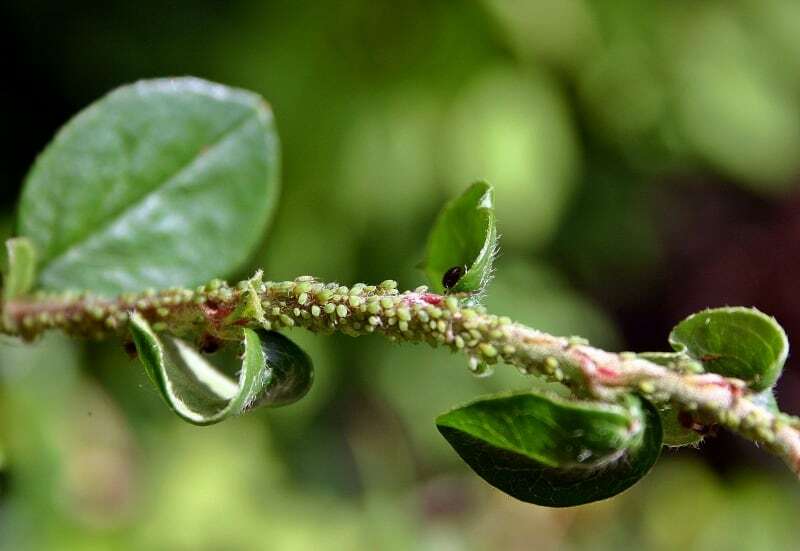 They are commonly found in groups, and when you head out to your garden and find a couple of dozen aphids feasting on one of your favorite flowers, you can feel both anger and frustration. You are angry because these tiny insects literally sap the life out of your plants. You may be frustrated because you have tried just about everything in your attempt to discover how to get rid of aphids. What’s really unsettling is when you find these little buggers on your indoor plants. There are plenty of store-bought, chemical-based aphid killing solutions. If you use any of these, you run the risk of harming your children, your pets and even your plants. That’s why many gardening enthusiasts opt for one or more of the following 7 safe and natural solutions. Wherever you see aphids (they often hide on the bottom sides of leaves), spray them with water. Get a refillable bottle with a sprayer nozzle and blast them off the leaves. If you do this each morning, the aphids will fall harmlessly to your dirt or soil, where they will likely die. If you want to make sure the nasty little buggers are gone for good, add a teaspoon of liquid dish soap to 32 ounces of water. Spray away the aphids. Crush an entire head of garlic. Drop it into 2 cups of hot water and let it sit overnight. 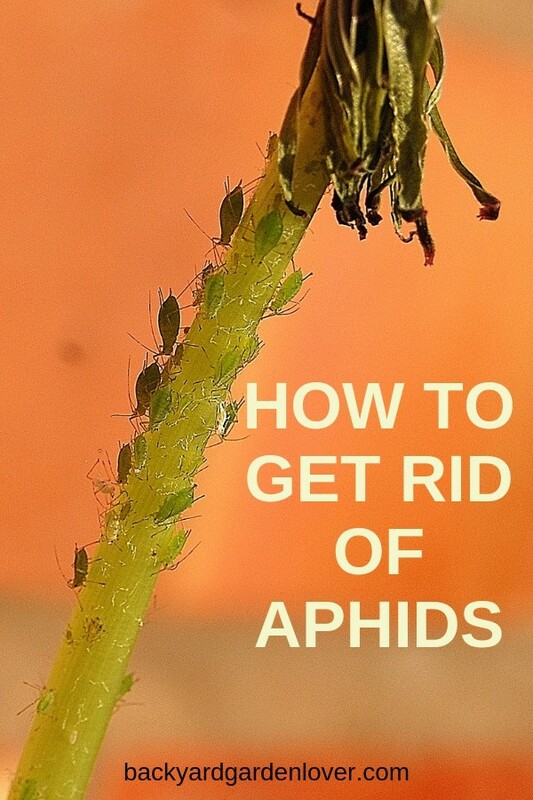 If you hate the idea of killing anything (even those ugly little aphids), you will like this solution. It doesn’t hurt your plants and it doesn’t kill the aphids either. It will render your plants smelly to aphids, and this means they will decide to eat and plant their eggs elsewhere. Strain the solution in the morning, placing any large pieces of garlic into your compost or soil. Add the garlic water to a tablespoon of liquid dish soap and a tablespoon of hot pepper sauce. You can spray this on the tops and the bottoms of leaves. It might not be advisable to allow birds into your home, but there are certain wild birds that love eating aphids and other bugs. Keep bird feeders near your plants and use the right types of seed to attract chickadees and wrens. Titmice and other small birds also love to eat insects. Add a few birdhouses and a birdbath to tempt aphid eating avians to assist you in your plant saving endeavors. 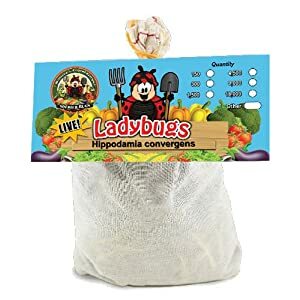 4,500 Live Ladybugs – Good Bugs – Guaranteed Live Delivery! If ladybugs could speak, they would tell you that they absolutely love eating aphids. If you have never purchased ladybugs before, ask for them at your local nursery. Or ask your landscaper: they may know where to buy ladybugs as well. Or, even better, head over to Amazon and get them to your door in 2 days with Prime. Aphids sometimes get inside when you take outdoor plants indoors. When you start the growth process indoors from seeds you give your plants a pest-free beginning. Discovering how to get rid of aphids sometimes means distraction planting. You intentionally add flowers and plants to your garden that you know aphids absolutely love. The idea is that they will be distracted by plants they find delicious, and will stay away from the rest of your garden. 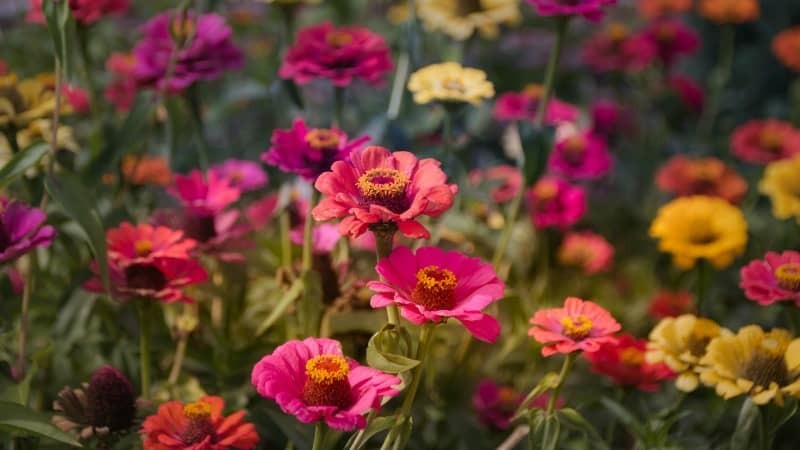 Aphids love zinnias and cosmos, marigolds and dahlias, sunflowers, daisies and calendula.